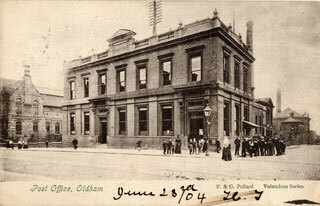 Find out more about the fascinating history of Oldham at Oldham Local Studies and Archives. With thousands of maps, photographs, books and an extensive collection of archives recording the history of the borough, this is a unique resource that defines what Oldham is today. Whether its family or local history you’re interested in Oldham Local Studies and Archives brings the stories of the past to life. The O.P.G meet every fourth Saturday of the month, 10 – 11.30am for anyone interested in reading and deciphering original documents from the 16th to 19th centuries. From talks to walks there’s plenty to discover at Oldham’s annual festival of heritage. Look out for more information and the free event brochure published in August. A fascinating new display looking at medical provision in Oldham before the advent of the National Health Service in 1948. Oldham Local Studies and Archives organises a variety of events to help with your family history. Expert family advice is available every Monday and Wednesday, 2–4pm.